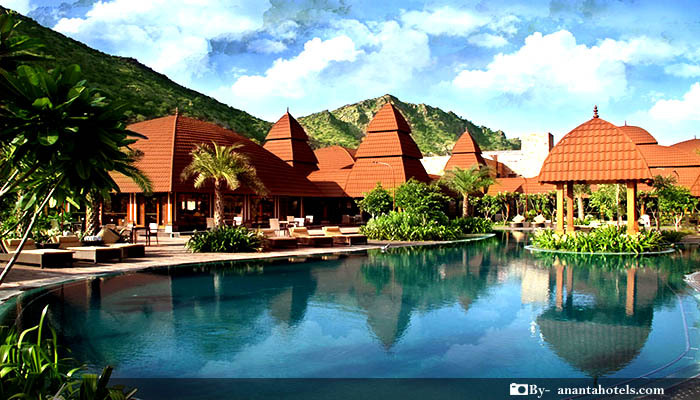 “Rajasthan” literally meaning the place the Kings, is a real royal wedding destination in the country. With its luxurious hotels, wonderful forts and some of the most beautiful palaces in the World, Rajasthan welcomes you as a royal venue for your wedding. It is hard, not to be mesmerized by the royal architectures and their best in amenities of life here. For couples planning a lavishing and fairytale wedding, Rajasthan certainly is like a fantasy turned into the reality. Formerly, the residence of the Maharaja of Jaipur and now a luxury hotel under the Taj Group of Hotels, Rambagh Palace of jaipur is one of the dream wedding destinations for any couple. Wedding is one of the most auspicious and happiest moments of one’s life and Celebrating your wedding at the rambagh palace makes you feel like living your dream. This wonder palace of jaipur consists of a number of royal suites and 47 Acres of lush green gardens. The Rambagh Palace looks nothing less than a shining kingdom, when illuminated in night. Made of Golden-Yellow sandstones, the Umaid bhawan palace was built between 1928 and 1943 and offers a unique, exotic, traditional, Rajasthani ambience. This 347- Roomed majestic architecture now is divided into three functional parts – a luxury Taj Palace Hotel (since 1972), the residence of the owner’s royal family, and a Museum focusing on the 20th century history of the Jodhpur Royal Family. The Taj Palace Hotel is a marvelous blend of Eastern and Western architectural influences and consists of 64 luxury rooms and suites. The Royally-Romantic aura of this place, welcomes you as a dream destination to celebrate your wedding. Erected on the outskirts of the Golden city of Jaisalmer, this wonderful, serene and charming Fort of jaisalmer is a live example of fine, Indian traditional artwork. With its classical interiors and 6-Acres of lush green campus, this princely home is certainly the place to consider a Wedding Destination. The palace consists of Golden, Deluxe and a number of other types of suites with all the luxuries you would just love to have for your wedding celebrations. Fort Rajwada welcomes you for a Royal and Classical Indian Wedding. The Shiv Niwas palace itself is located within the complex of the City palace of Udaipur and it served as a royal guesthouse of the Mewar dynasty. In 1982, like Lake Palace, the Shiv Niwas palace was also converted in to a heritage hotel. This magnificent palace is centered with a beautiful white marble pool with 3-storeyed semi circular arc like floors all around it. This palace now runs under the HRH group of hotels (itself owned by the current Maharaja) and has played host to Queen Elizabeth II, King of Nepal, Shah of Iran and many other dignitaries. Celebrate your marriage in the Mewar Kings’ style while you stay at this luxurious Heritage hotel in Udaipur. If you are looking for a place with romantic, isolated yet luxurious settings amidst the natural flora and fauna, as your wedding destination, there is hardly anything better than the Aman-I-Khas in the whole country. Aman-I-Khas literally means “A peaceful accommodation for someone special” and standing up to its name, this place is an accommodation in 10 luxurious, air-conditioned tents within the premises of Ranthambore National Park . It is opened from October to May every year. Uniquely romantic and serene in every aspect, this place is one of the most wonderful locations to tie a knot with your loved one. Also known as the “Fort of Sun”, the Mihirgarh Fort was built in 2009 A.D. and manifests out of the golden sands of Marwar. 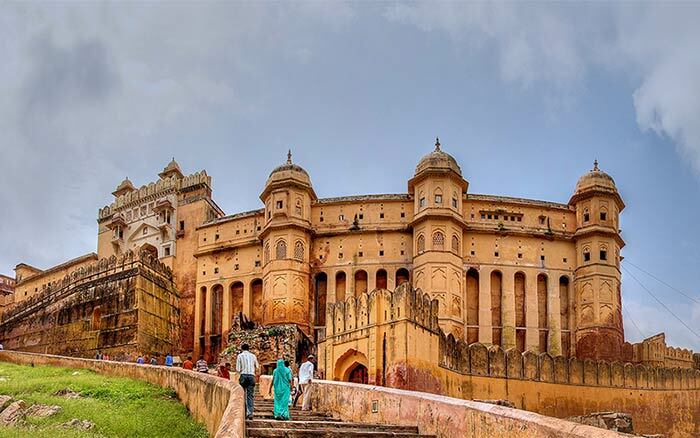 With beautiful rooms, excellent service and locations to be mesmerized by, the Mihirgarh Fort certainly is a truly romantic destination that overlooks the golden sands of Rajasthan in absolute serenity and calm. Located just outside the small town of Rohet, the fort is like a paradise shining amidst the sea of sands. The Mihirgarh Fort offers a completely tranquil setting for you to start a new chapter of your life by getting married at this heavenly destination. The Neemrana Fort welcomes you to explore and appreciate an unparallel blend of ancient architecture of Royals and reincarnation efforts made on this place. 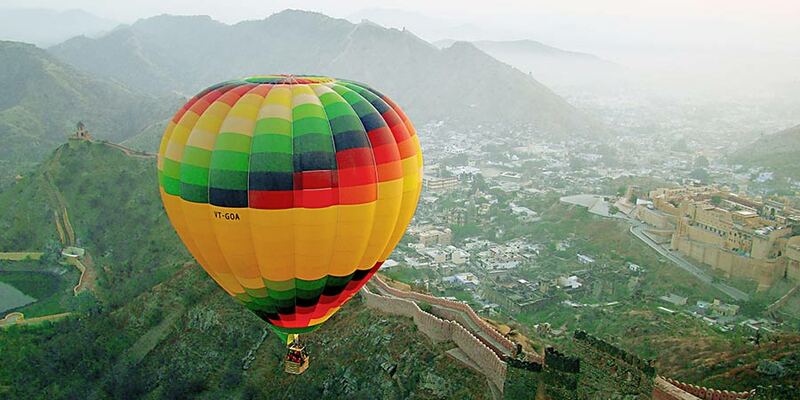 The Fort is located on a hilltop in the Neemrana town of Alwar district of Rajasthan. Since 1986, this beautiful fort has been operating as a Heritage resort Hotel. The Heritage Hotel provides you with beautiful views of mesmerizing surroundings of the place. The hotel also hosts various traditional dance and musical shows on apt occasions. If you looking for a serene and architecturally rich escape blessed with all the modern amenities of life, for your wedding ceremony, Neemrana Fort is the destination perfect for you.